and made her first visit to India in 1980. Her first stage appearance was at Yakshini Yazawa's recital in 1983. 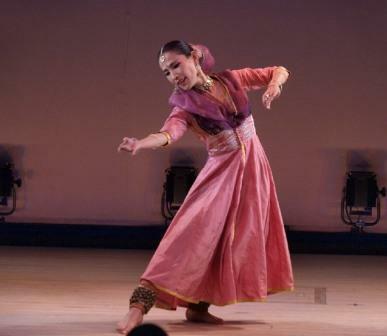 "Mahotsava", a Kathak festival sponsored by the Indian government, in which she appeared four years in a row (1988-1991). In 1989, she was invited by the Govt. of Uttar Pradesh to dance for an international festival in Lucknow. In the summer of 2004, she started a dance unit called Apsara. 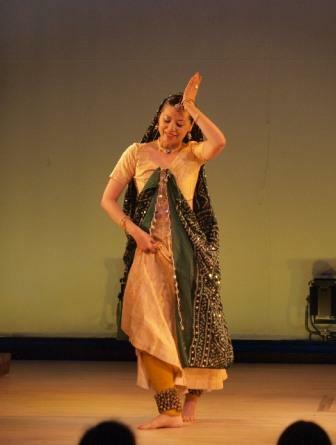 when she was 19 and later studied Kathak dance under C.S.Narayan, Pt.Vijay Shankar. 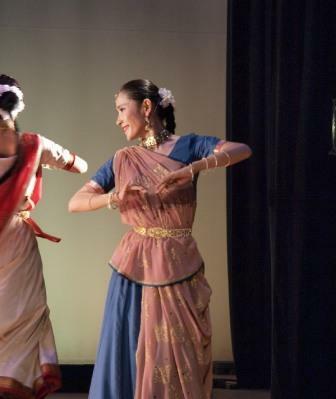 as a Kathak dancer and teaching as an instructor. in Delhi, with whom she is currently continuing her journey through training. and also is performing as a solo artist with various musicians. 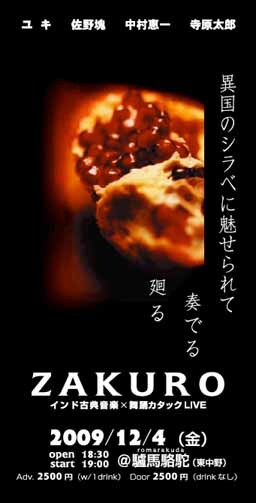 and at restaurant shows in Tokyo. She is still expanding her field of activities. Apsara show in 2005, and since then has appeared in the show every year. 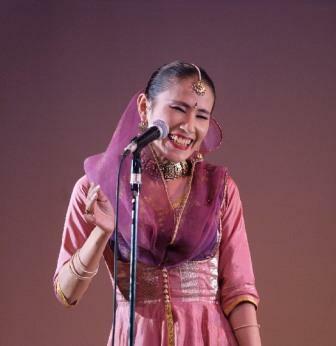 In addition, she has performed at some local festivals around Tokyo, at Indian restaurants,as well as various other events. she hopes and strives to have her body and soul become like music itself. 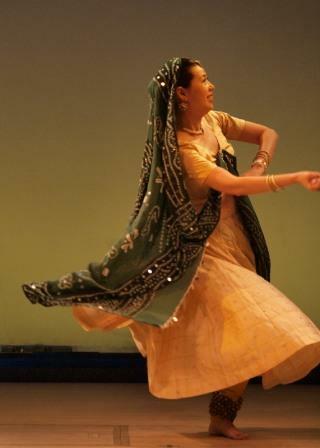 This goal motivates and inspires her continuing dedicated Kathak practice. Gharana) in Calcutta in 2003, and has been studying under Sri. Amit Roy(Maihar Gharana) in Japan since 2005. "Yokohama Diwali", (sponsored by the Yokohama Indian cultural exchange committee in Japan), "Aichi World Expo 2005", and "Namaste India". her to visit Calcutta every year to train under the great masters Pt. Anindo Chatterjee and Anubrata Chatterjee. and in a domestic tour in Japan and France performance. Also, she is a member of the band called "Tabla Dha"(by U-zhaan), "Show-Swee Girls". Eri started learning the piano when she was 4 years old and western classical singing when she was 13 years old. Japanese Butoh dance, and others. She finally discovered Indian classical music in 2007. After that, she studied under Taro Terahara, a Japanese bansuri player, and Ud.Jainul Abedin in Calcutta, India. the culture of her native Japan. She is now learning Japanese folk song under Yoko Mikado (Mikado Kintou II).